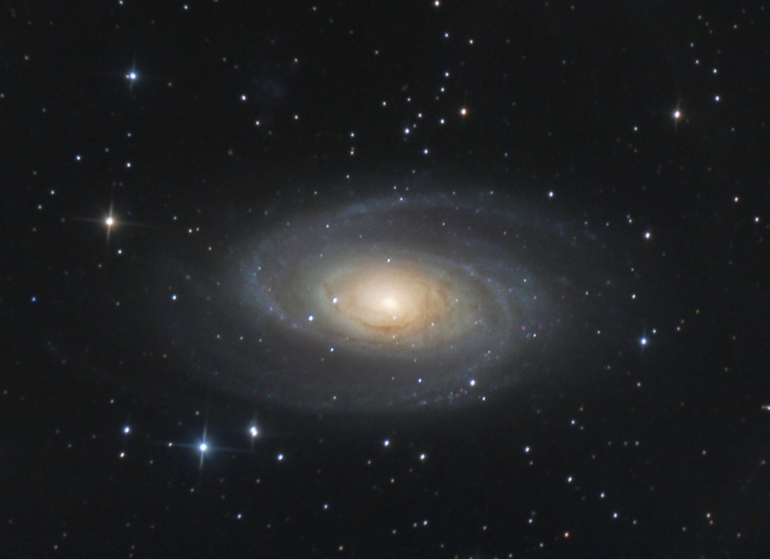 Here is a recent image of M81 and M82 taken at the St. Croix Observatory. Scroll down the page to see 50% crops of each of the galaxies. Processing This image was processed entirely in Images Plus beta 5. Calibration and stacking done with the automated image set processing. Arcsin stretch was used as the initial stretch. Two iterations of SMI processing used to bring up the faint detail. Colour noise reduction used to smooth the background. Masked noise reduction applied to complete the background smoothing. 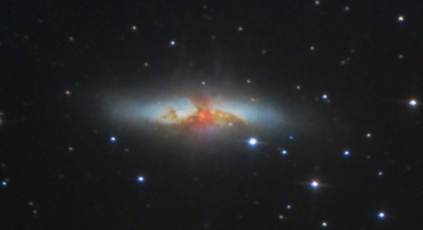 Sharpening and contrast enhancement applied then the image was binned and a masked star reduction applied.